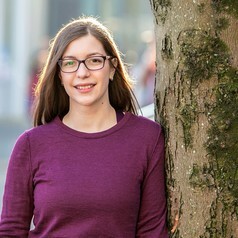 Sophia is an interdisciplinary early career researcher with a background on Nutrition and Dietetics with specialization in Obesity and Weight Management. However, her PhD work falls into the area of Health Psychology and focuses on the impact of prenatal nutrition and parental feeding practices, both milk feeding and weaning, on infants’ and toddlers’ eating behaviour. More specifically she looked at how milk and complementary feeding practices impact on outcomes, like vegetable acceptance and early eating behaviour, using a variety of methods ranging from qualitative analysis and observational techniques to quantitative analysis.